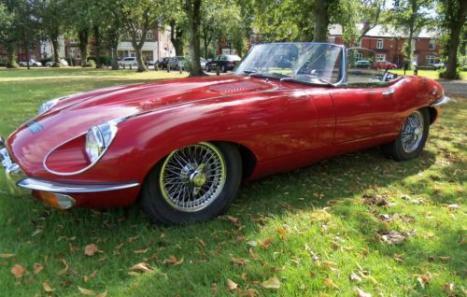 Here for sale is a beautiful E-Type Jaguar 4.2 S2 Convertible, 1969. 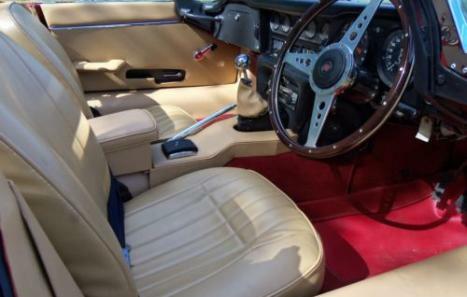 Rare manual transmission, rare power steering model. Finished in my opinion the best colour combination Carman Red with biscuit trim. 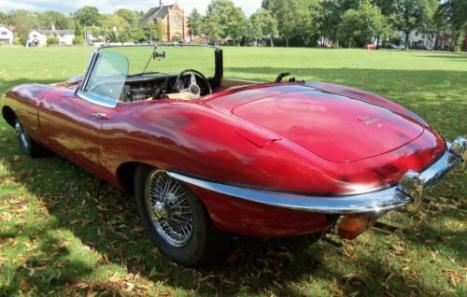 She has had over 20 years of restoration, (last on the road in 1990). Lots of photographic detail from its bare shell, In outstanding condition. Now 12 Months M.o.td. She drives superb. All door gaps etc are fantastic, a rarety on these cars. She only needs some minor detailing, like soft top hood fitting,(supplied). She has a brand new hoodframe fitted. and a hard top and hood cover. All floors, inner/outer cills, skins etc, and a new head gasket has been done.All chrome brand new or excellent 2nd hand. Would replace windscreen as it has a crack on l/h/side as the tinted door glass is brand new etc,this could cost nothing on certain policies. 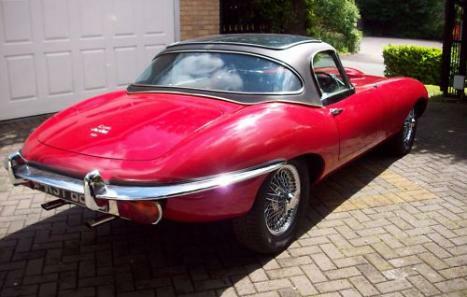 An ultimate opportunity to invest in the best classic British icon of all time, better then money in the bank.